Last time I did an OOTD post was Autumn, and lord behold the last OOTD post was an AUTUMN themed one, and here I am now doing a Summer outfit post. Seems like I can only manage to seasonally blog about fashion haha! Well anyway since the sun is shining I thought I’d whip out my pasty legs to meet the rays a little. 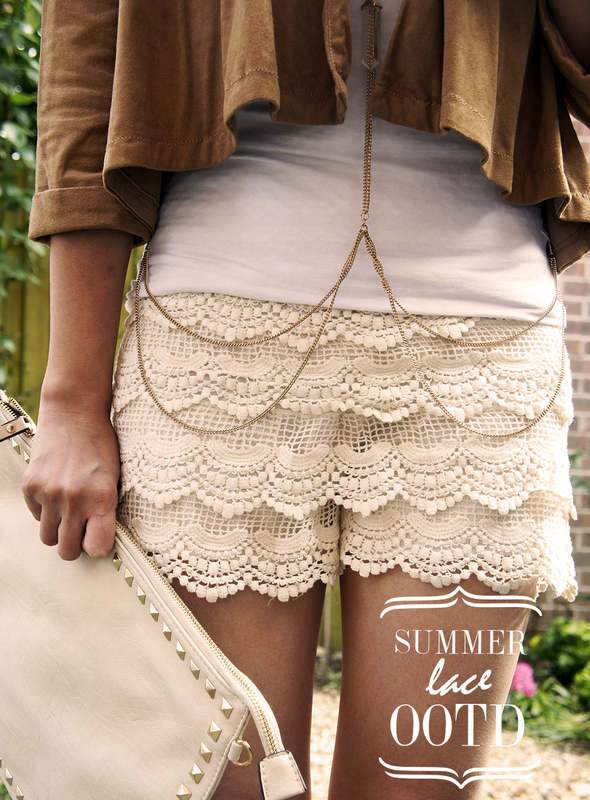 Today I am wearing these lace detailed, crotchet type shorts which I got from a site called Tmart. I’ve never heard of this shopping site before, however they offered me a piece of my choice to review and I picked these cute Summer shorts. So Tmart is a site that is a little bit like Amazon in my opinion. It has a little bit of everything from Beauty, Fashion, DIY, Photography to accessories. Prices are very reasonable too so if you fancy a little bit of bargain shopping then have a little browse. 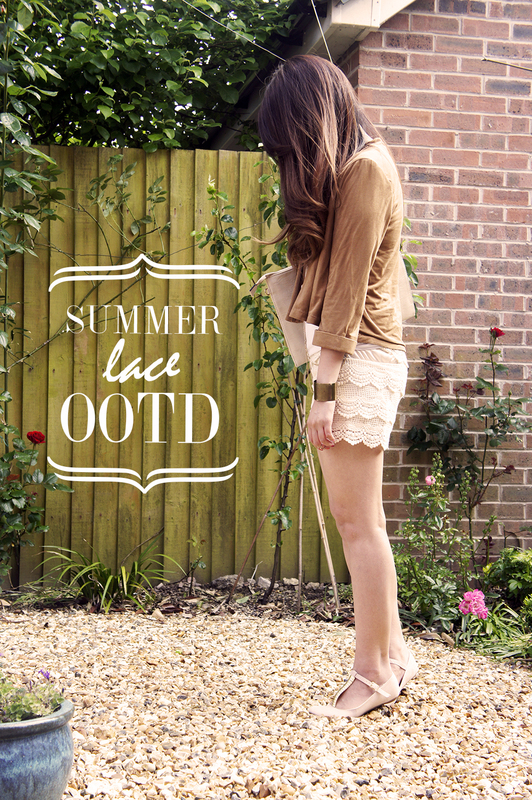 The lace shorts I have on can be found there and costs just £6. Plain white vest, tan faux shade jacket both from H & M || Pink/Gold buckle pumps from Primark || Sunglasses from Forever 21 || Gold Cuff from eBay || Gold Body Chain necklace from Topshop || Cream/Gold stud clutch from TK Maxx. Hope you guys are enjoying the sun while it lasts! 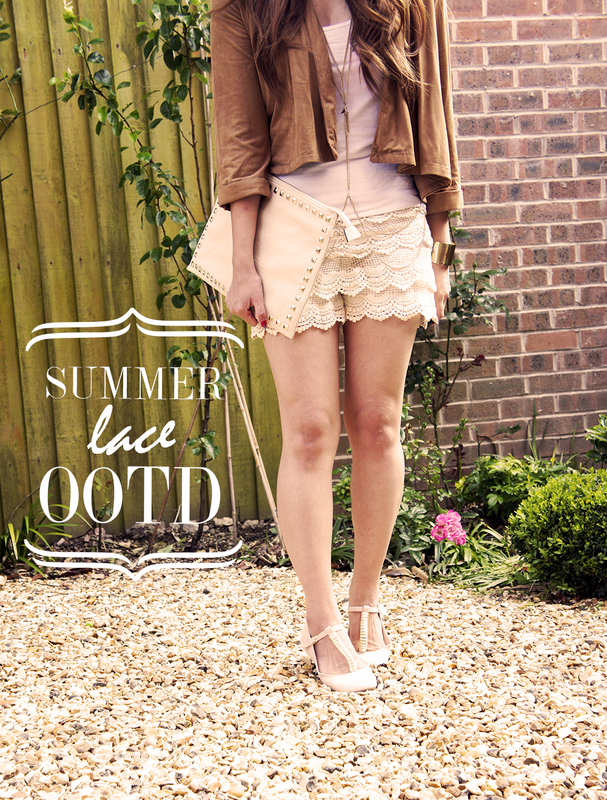 Tags: Fashion, Lace shorts, OOTD, Outfit, summer, Summer Shorts. Bookmark the permalink. Nominated you and love your look. Loving those shorts!!! Wow!!! Me want!! This is a great look. 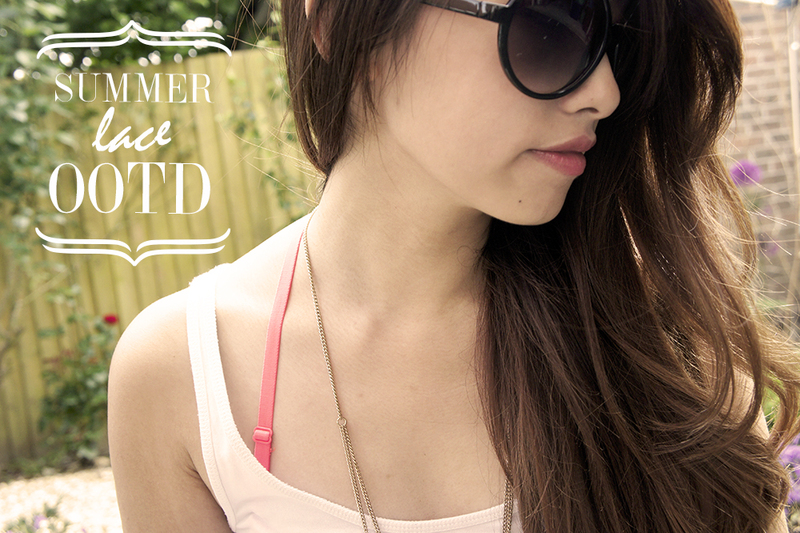 It’s perfect for summer and you awesome! Those are the cutest shorts I’ve ever seen! The body chain is so cool. Are the full toe buckle sandals new from Primark? I’ve been looking all over for some! I cannot stop looking at these gorgeous shorts (well, honestly, the entire outfit is on point).